The day? May 5th. The place? Spalding Plastic Surgery in Beverly Hills. The Why? An intimate group of editors were invited to learn about the latest in fat zapping technology, SculpSure, and on-hand to lend some real-person testimony about what this machine really does was Kyle Richards and a lucky Spalding Plastic Surgery patient who showed some great “after” results…impressive. And to give the six editors the technical speak on how this, and I’ll say it, “amazing technology works,” was the very accomplished plastic surgeon, Dr. Jaimie Schwartz. SculpSure brings the science of light to body contouring. It’s the world’s first light-based body contouring system for the reduction of stubborn fat that seems resistant to diet and exercise. SculpSure helps patients achieve a slimmer appearance in 25 minutes without surgery or downtime. SculpSure’s proprietary technology permanently destroys treated fat cells in problem areas such as the abdomen and love handles. Patients begin to see results in as quickly as 6 weeks, with optimal results usually seen in 12 weeks. There’s no age limit, no down time, and is a treatment mostly targeted to men because of their flanks, but women have certainly taken to and are actively seeking this treatment out. Note that if you’re suffering from a breakout of some sort on the area(s) to be treated, you’ll have to wait until it’s all cleared up before making an appointment. SculpSure treats single or multiple areas during one 25 minute session. The treatments are customizable depending on your desired results, works on any body or skin type, and there is no bruising as with suction-based technologies. 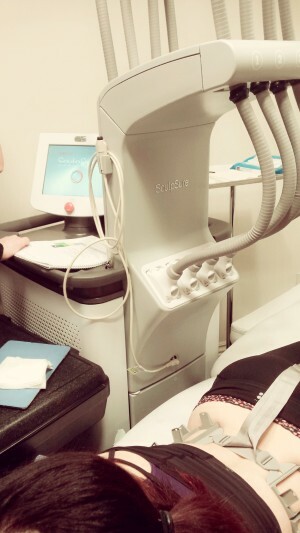 SculpSure destroys fat cells by raising the temperature of body fat, and then delivers controlled and targeted energy without harming the skin. The fat cells are then naturally absorbed and eliminated by your body over time. Expect to see 24% reduction in stubborn fat. And if you’re wondering how many people are actually happy with their end results, that number is over 90% satisfaction rate. Why you’ll love, at least according to Kyle, “it feels like a heating pad, and I just spent my 25 minute session taking and texting.” Also, there’s no downtime so you can continue your day after treatment pain free and feel confident that even tighter fitting outfits for you are just around the corner! 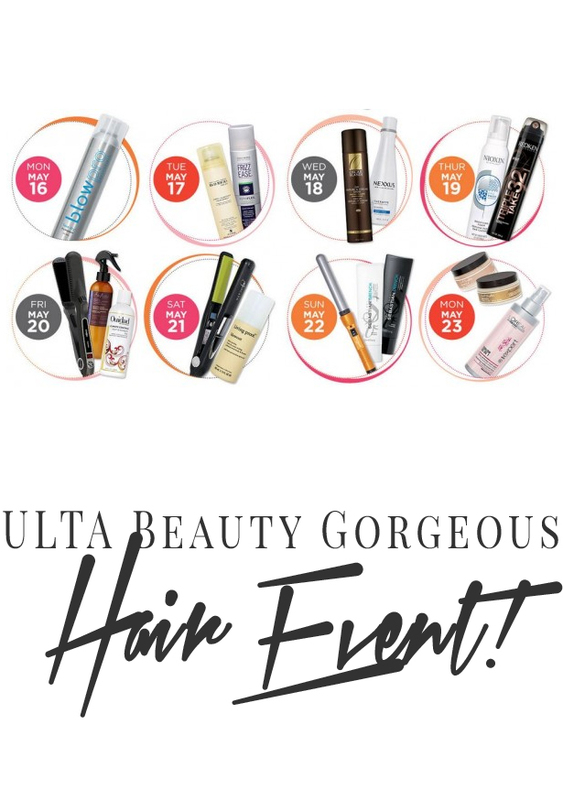 ULTA Beauty Gorgeous Hair Event! Next PostNext ULTA Beauty Gorgeous Hair Event!